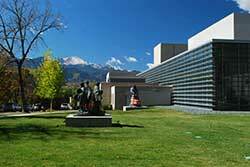 We have put together a comprehensive list of fun activities and things to do in Colorado Springs while visiting The St. Mary’s Inn, Bed and Breakfast. 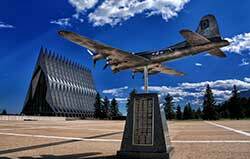 Colorado Springs is a city located in central Colorado, just at the foot of the Rocky Mountains. The elevation is at 6,035 feet. 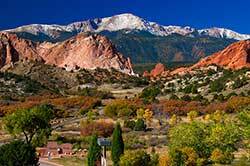 For the adventurous travelers, grab hiking boots and cameras to explore natural sights like Pikes Peak and Garden of the Gods. 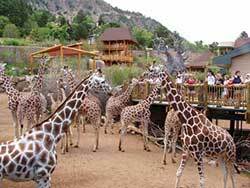 For the less adventurous travelers, enjoy the Cheyenne Mountain Zoo or the Old West Feel of Old Colorado City. 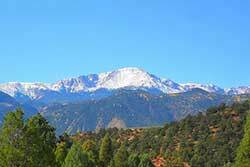 Pikes Peak, America’s Mountain, is a landmark in Pike National Forest with hiking trails, Pikes Peak Highway and the cog railway leading to its 14,110 0r 14,115 foot summit (mountains do move). Known for being the most visited mountain in the United States and the second most visited mountain in the world second only to Mt. Fuji in Japan. There are 4 events that take place on Pikes Peak during the year. 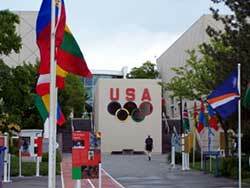 The Pikes Peak Ascent and Marathon, The Pikes Peak International Hill Climb, The Pikes Peak Challenge and the AdAmAn Club New Year’s Fireworks display on December 31 at midnight. There are 3 main ways to get up…. drive, make sure you stop half way, Cog rail, which will stop half way to allow your red blood corpuscles to adjust, and hike up. Just west of downtown Colorado Springs, Old Colorado City was hoping to be the original capital of the Colorado Territory, but Denver became the capital. It was founded in 1859 (an old log cabin from that vintage can be seen in the local Baldwin Park) and was once a hotbed of activity. No longer its own town, the old Colorado City Historic District maintains its 19th century Wild West Feel with shops, art galleries and restaurants. 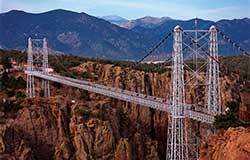 The Royal Gorge has one of the world’s highest suspension bridges with jaw dropping rides. 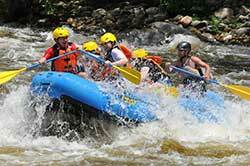 You will see miles of amazing natural Colorado beauty. The Royal Gorge offers a zip line, a skycoaster, the bridge, aerial gondolas, a waterclock, photo lookout areas and a children’s playland. Please keep in mind that the attractions are weather permitting. The Pro Rodeo Hall of Fame for everything cowboy is dedicated to the preservation of rodeo artifacts and everything related to the rodeo sport. Enjoy the colorful history and legends of professional rodeo. 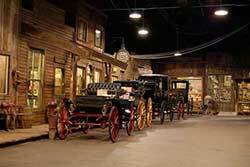 The museum includes exhibits on rodeo history, cowboy greats, plus a gallery of western art and an arena. The Women’s Film Festival is the longest running women’s film festival in North America. Showcasing documentaries, narrative short and animated films. 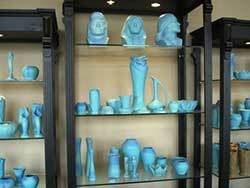 Located at the Fine Arts Center in Colorado Springs. Book your accommodation well in advance. 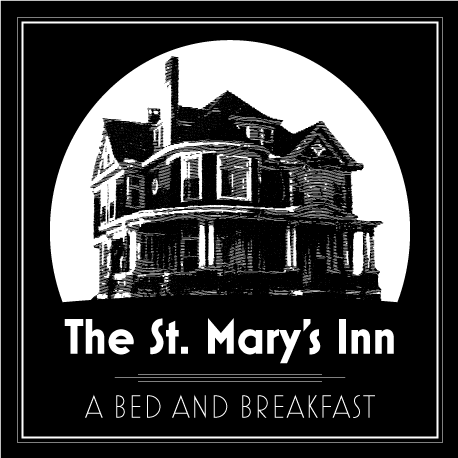 Lot’s of women go together and stay at The St. Mary’s Inn and have lots of fun and discussion! 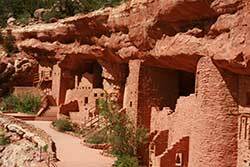 Make sure to include a visit to Manitou Cliff Dwellings where you can explore fascinating architecture of the ancient Anasazi, and browse 2 museums featuring cultural displays. Experience Native American Dancers that reveal secret rites and ceremonies that have been passed down for hundreds of years. 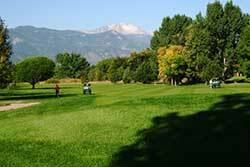 Patty Jewett Golf Course is the nation’s oldest public owned golf course. It was built in 1898. The clubhouse and bequest rooms were built in 1910. 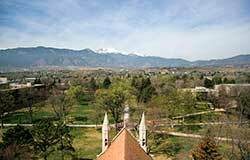 It is a wonderful place to enjoy lunch on the veranda and have a stunning view of Pikes’ Peak. Golf is available for public play. Located in beautiful Woodland Park Colorado, at the Rocky Mountain Dinosaur Resource Center you will find a whole new species of fun. You will see awe inspiring dinosaurs including the T-Rex, raptors, giant flying and marine reptiles, carnivorous fish and look into an actual fossil preparation lab.